Around midday Tuesday, dubstep fans likely began feeling a dull, inexplicable ache in their necks. Sure, some could still be recovering from Lost Lands revelry. Otherwise, those preemptive neck pains are likely just a visceral physical response to the Phase One announcement of 12th Planet’s SOOO SICK Tour. John Dadzie, stage name 12th Planet, has been widely credited with bringing dubstep to the U.S. in the early 2000s. As the story goes, Dadzie first encountered dubstep while touring through England under his prior alias Infiltrata. He initially interpreted dubstep as “slow drum and bass,” his original genre of choice, per an interview with Billboard in December 2016. In 2007, Dadzie teamed up with Drew Best to launch SMOG Records, a central figurehead in dubstep’s U.S. expansion. But 12th Planet’s own music releases have been fewer and farther between than many other bass artists. He released his debut album The End (2012) and later the Gully EP (2016), plus a handful of other EPs, singles and collaborations in between and since. Most recently, 12th Planet’s recording efforts include his Let Us Prey EP (2017), released in September. That five-track EP features “Sooo Sick,” a collab with LUMBERJVCK and Virtual Riot and the namesake of this latest tour. 12th Planet hasn’t officially announced the artists joining him on this tour yet. But given the tour’s name and their collaboration on the single, LUMBERJVCK and Virtual Riot are certainly two potential contenders. The SOOO SICK Tour kicks off this Saturday, October 14 at BOO! Arizona and bounces around the continent somewhat erratically into February. 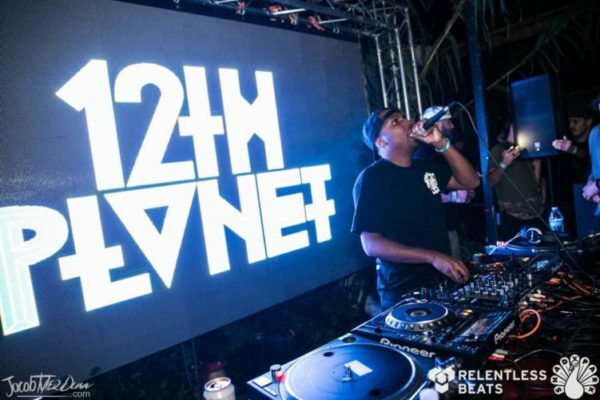 12th Planet will unsurprisingly hit many of the usual major U.S. EDM markets. International stops include Vancouver, Canada and Antwerp, Belgium, and more dates could be announced in the future. Plus, ShipFam can look forward to 12th Planet’s Dubstep Dungeon party aboard Holy Ship 11.0 in January. Grab your Gully Squad and get ready to headbang with the dubstep maestro himself when the 12th Planet SOOO SICK Tour passes through a town near you.